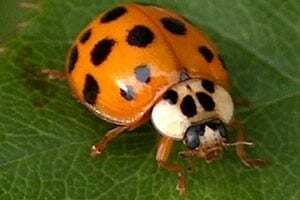 The multicolored Asian lady beetle has become common throughout the United States. It is well known for the annoying habit of accumulating on the sides of buildings and wandering indoors during the fall. These pests are a beneficial biological control in trees during the summer, and in fields and gardens during the fall, but can be a severe household nuisance during late fall and winter. Wooded residential and industrial areas are especially prone to problems. A whole host of invasive species are enemies to the gardener, but perhaps none more so than this creepy little feller. The Asian beetles are capable of completely destroying the leaves of your prized rose bushes and ruining both the health and aesthetics of your garden as a whole. ABC Termite & Pest Control is a locally owned and operated company specializing in residential and commercial pest control. Spiders, ants, termites, mice, and other rodents are just a few of many pests we professionally exterminate in the Lincoln and Omaha area.